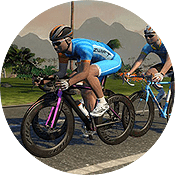 Back in January we wrote about how Zwift would be available soon on Apple TV, and yesterday ZwiftHQ put out the call for beta testers! 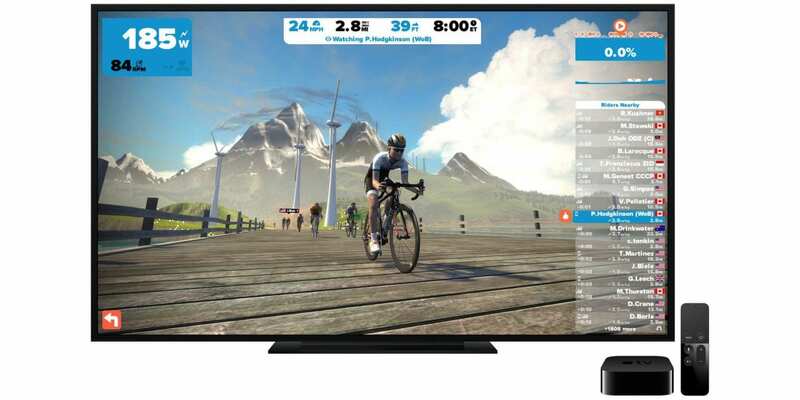 Given ZwiftHQ’s timeline with its iOS beta test and final release, I would estimate that Zwift will be officially released for Apple TV some time in the next 2-3 months. 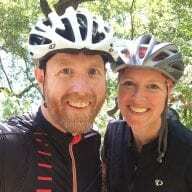 This is great news for our community, of course, because it further lowers the barrier to entry and expands the possibilities for current and potential Zwifters. The 32GB Apple TV, available for $149 in the US, should provide the best quality gameplay available at this price point. What Quality Can We Expect? 4th-gen Apple TV is powered by the same A8 processor and graphics found in the iPhone 6, so performance should be comparable. 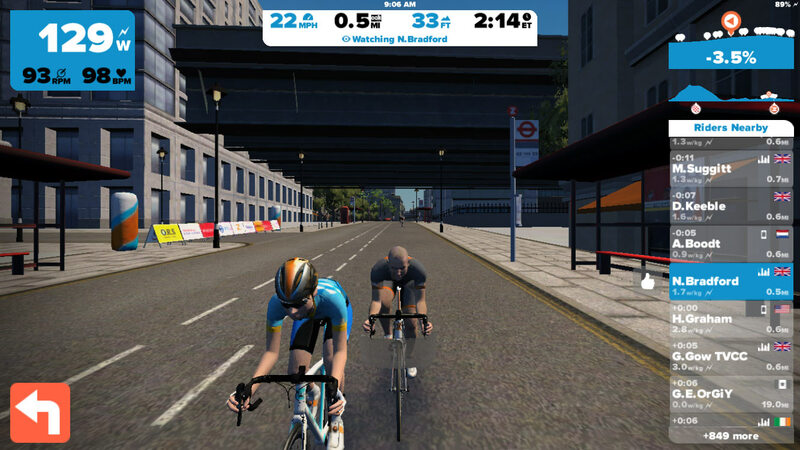 Zwiftalizer shows the A8 runs using Zwift’s “720 Basic” profile at just under 30 frames per second. At this performance level, graphics quality on a large-screen TV could be described as decent. Quality is noticeably lower than a high-level gaming PC setup, but the framerate is high enough that gameplay is still feels smooth even if the overall graphics aren’t as crisp. Here are two screenshots which show the sharpness of an iPhone 6 (click for full size). Are the sensors connected via Bluetooth or ANT? I have signedup Beta when do we get more information? What’s the limitation on the resolution quality? Say you have a 1080p or 4K TV and Apple TV, will you not get really crisp graphics? Either way, I think this is great, definitely has the potential to expand the user base. Sooner that happens the sooner we all get to change maps. Guessing that’ll be a ‘major’ update in 2020. The latest Zwift update included a mention that the Apple TV beta program will be starting soon! good news. I am very excited. Keen to get on the beta program, have put my name down a few weeks ago but have not heard anything. Have I missed the Beta boat? Hi, Is there any further news on the production release for ATV4 please? Any chance you can test again with the new AppleTV 4K (the new 5th gen one)? 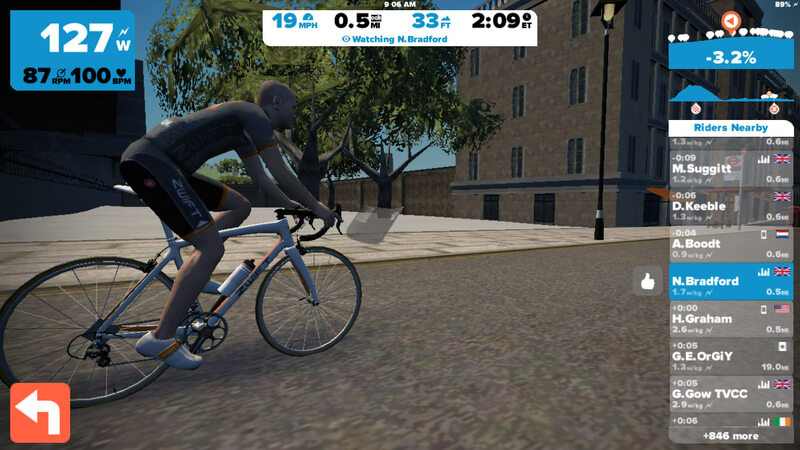 It’s twice as powerful, but I don’t know if the Zwift app will take advantage of that or not … will it do basic 1080p? ?